We are constantly inundated with reports and allegations – some well-founded, some not – regarding the alarming state of the public healthcare system worldwide. Which raises the question just how reliable are these reports and how valid the allegations. 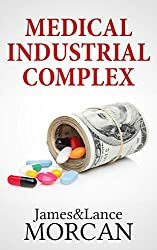 We investigate this in our new release book MEDICAL INDUSTRIAL COMPLEX: The $ickness Industry, Big Pharma and Suppressed Cures. New book pulls no punches. 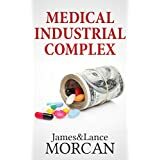 As you may have guessed from the title of our book we are highly critical of the medical system. We are not alone in this of course, and we address these concerns in the very first chapter. “…UK peer-reviewed journal BMC International Health and Human Rights, which estimates healthcare expenditures globally total 3 trillion US dollars, indicates it’s little wonder this sector is vulnerable to corruption. In an article dated May 3, 2012 and published on its respected biomedcentral.com website, BMC highlights the huge expense associated with the procurement of the many services the sector offers, and points out that the nature of healthcare is such that the demand is not fully predictable and often exceeds supply. BMC also claims that theft, diversion and resale of drugs are other sources of corruption that occur at the distribution point of the pharmaceutical supply chain. Examples listed include theft without falsification of inventory records, dispensing of drugs to patients who did not actually attend the pharmacy or clinic, recording of drugs as dispensed to legitimate patients but the patients do not receive them, and dispensing of drugs to patients who pay for them but the health care provider keeps the funds. The article also gives examples of “illegal kickbacks” to surgeons and false claims allegations, stating that, in one case, “Physicians were allegedly awarded vacations, gifts and annual ‘consulting fees’ as high as $200,000 in return for physician endorsements of their implants or use of them in operations”. BMC states that the medical device industry, especially in orthopaedics, is an area where there are relatively large sums of money involved and thus there is a susceptibility to corruption. Clearly, healthcare corruption is a global problem – and a major one at that. Certainly, that’s the perception of the majority of independent analysts. Most alarming, or at least as alarming, is the reluctance – or downright unwillingness – of those involved to discuss the problem. Now why is this? Is it because guilty parties are afraid that discussion could lead to investigation of corrupt practices? And are those same parties afraid of what an investigation will uncover? Modern technology may eventually empower the public and provide a path to a fairer healthcare system. One subscriber to the technology-as-a-medical-solution theory is Eric Topol, MD, a professor of translational genomics and the director of the Scripps Translational Science Institute in La Jolla, California. Topol, who is described as a pioneer of the medicine of the future, is also author of the bestselling book, The Patient Will See You Now: The Future of Medicine is in Your Hands. “In this new era, patients will control their data and be emancipated from a paternalistic medical regime in which ‘the doctor knows best.’ Mobile phones, apps, and attachments will literally put the lab and the ICU in our pockets. Computers will replace physicians for many diagnostic tasks, and enormous data sets will give us new means to attack conditions that have long been incurable. In spite of these benefits, the path forward will be complicated: some in the medical establishment will resist these changes, and digitized medicine will raise serious issues surrounding privacy. Nevertheless, the result – better, cheaper, and more humane health care for all – will be worth it. The Patient Will See You Now is essential reading for anyone who thinks they deserve better health care”.